You will need to enter your usual Sellsy login and password, accompanied by the cash register unique identifier (available in the Cash registers list in your Sellsy interface). 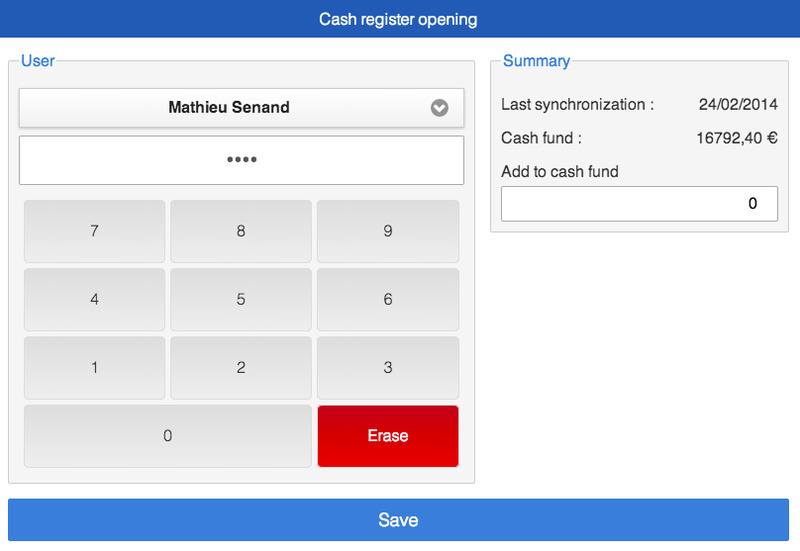 Another solution is to use the direct connection link from the cash registers list in the Sellsy interface. Simply adjust your cash fund (if applicable) and enter your PIN (if required). Confirm and you will be connected. You are now ready to create your first receipt!